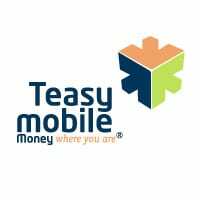 Nigerian mobile payments provider Teasy Mobile is to equip its mobile money agents with POS terminals that use biometric technology to verify a consumer and NFC to allow them to make a payment. “Biometric data can be used as an extra [know your customer] requirement for certain transaction values,” the company continued. “We are very excited with the market opportunity this solution will bring us,” Teasy’s Musa Ali Baba says. “We believe that, while the market is growing quickly for mobile wallets, we will be able to roll out a mixture of point of sale and mobile wallet technology, thus capturing all points at which the customer will transact. “Nigeria is a rapidly advancing and sophisticated mobile money market, and there are many mobile wallet providers already in the Nigerian market,” adds Chris Jones, CEO at VeriFone Mobile Money.